The ancient site at el-Aḥwat (“the walls” in Arabic) was discovered in November 1992 during a survey of the Manasseh Highlands. The site lies atop the western slope of a hill south of the Naḥal ‘Iron road, west of Qaẓir, and c. 1 km south of the village of ‘Ar‘ara, at an elevation of 325 m. It overlooks the Carmel Range to the north, the Coastal Plain to the west, and the mountains of west Samaria to the south. The site is located on high ground amid bare hills and Mediterranean thicket, far from water sources and lacking good roads and level land suitable for agriculture. The main road of Naḥal ‘Iron is c. 1,200 m from the site and lies at a much lower elevation. 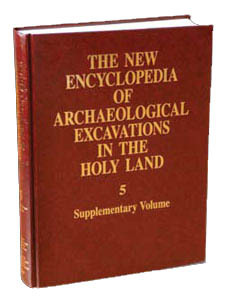 The site was investigated during a teaching excavation conducted by A. Zertal of the University of Haifa, which continued for seven nearly consecutive seasons, from 1993 to 2000. The site is c. 7.5 a. in area and is surrounded by a system of fortifications including the settlement wall, towers, and gates. In addition to these, there is an internal division into fortified quarters.